GAMEVIRONMENTS OF THE PAST – Video Games and History. Guest editors: Derek Fewster (derek.fewster@helsinki.fi) and Ylva Grufstedt (ylva.grufstedt@helsinki.fi). The journal invites researchers to submit their work to Gamevironments (http://www.gamevironments.uni-bremen.de/) for possible publication in a special issue due December 2016. A significant portion of video games contain historic elements of some description. In some cases, games exhibit representations of people, places and events of the past. In others, the historic element draws broadly on cultural understandings of concepts such as time, causality, continuity and change. Some games employ a self-reflexive historic discourse in making references to other games or cultural elements in general. In other words, ideas and expressions about the past in video games, range from the traditionally historiographic to historical practices with implications on related topics such as culture, religion, ethics and morality, rites and traditions, as well as intertextuality, education and politics. Furthermore, games do not only express ideas but constitute a unique form of interaction and agency, the performance of play and communicational processes, which challenge previous understandings of community and collectiveness with regards to the past. In an effort to collect new research and perspectives on these themes, Gamevironments seeks paper proposals for an issue with focus on history. We wish to collect results as well as theoretical, methodological and other scientific approaches to both disciplines and games, in a broad sense. Video games as history politics, including e.g. themes of historical traumatization, nationalism, racism, emancipation, gender, ethnic identities, totalitarianism, or religious dogma Studies related to any of the above mentioned ideas, or other similar topics, are welcome as submission to this issue. The new therapy could one day help improve symptoms by teaching self-compassion. Could virtual reality be the next frontier for treating depression? Space is filling up – make your reservation now! All attendees must register through VES’ page (https://www.visualeffectssociety.com/events/event/event-ves-vision-and-education-committees-la-siggraph-present-vr-post-production-los). Space is limited. You MUST RSVP. Mariana Acuña Acosta, Media & Production Creative Manager, The Foundry, will describe the latest set of tools that The Foundry is working on to help solve the day to day problems of working with VR. Gawain Lilliard, VFX Supervisor, The Mill and his team, will present the methodology and techniques they used to deliver the Google Spotlight live action VR project “Help”, directed Justin Lin, of “Fast and Furious” fame. Jason Shugardt, Head of CG/VFX Supervisor with MPC LA will share the tools and techniques used to create the live action/CG VR adventure, “Goosebumps”. Goosebumps VR is a stereoscopic special venue experience that premiered in conjunction with Sony’s feature film in select theatre lobbies. There’s a lot of hype about virtual reality these days, and most of it is wrong. 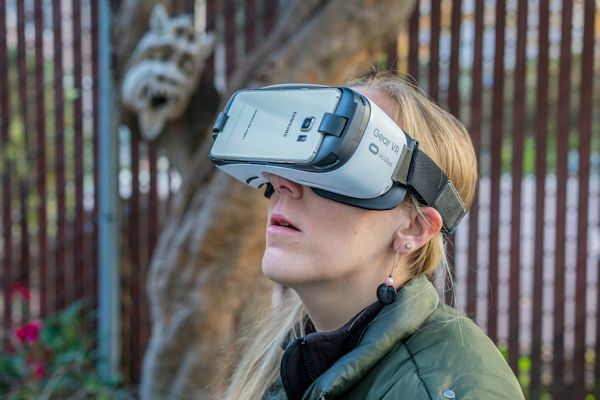 Science fiction films and books have created a hunger for Oculus-style, head-mounted displays (HMDs) and “immersive” experiences, but does wearing a pair of goggles really have more power to transport us? Based on my 10 years of experience in the field I don’t think so. The VR revolution will not be experiential, but rather enabling. VR is a feast for our hands, not our eyes. Curious? Read on. The flagship of today’s VR craze is the Oculus Rift, which is a stereoscopic, wide field of view, head-tracking device that blocks out the world just like the movies promise. In our collective cultural consciousness, VR is the headset. Sensational as the effects of HMDs are, it turns out that the additions they lend to the viewing experience don’t actually add more information than a human can gather from looking at a more traditional image. If Bruce Willis is taking down a helicopter with a motorcycle on your TV, he’s still doing that in the Oculus as well. It’s the event that’s exciting, not how you’re seeing it. I hate to break it to everyone, but great societal upheavals — like the Internet and smartphones — were generated by advances in our ability to act on and process the world. VR headsets show us what we can already see in a photograph but more sensationally. This is not enough to change society. VR for the eyes, while certainly entertaining, is unlikely to create new industries. So, when you read headlines that The Future of Travel Has Arrived: Virtual-Reality Beach Vacations, Google Cardboard Saves Baby’s Life, Father Witnesses Son’s ‘Miracle’ Birth In Virtual Reality, realize these authors are making a cognitive error. They believe a VR headset is necessary to see a 3D world in a computer. Somehow, these authors forget that people have been living inside 3D worlds since the days of Doom (1993) and Super Mario 64 (1996), with nothing more than a monitor and a mouse (or joystick) to look around. The brain is where reality resides, and the experience a father has watching his child’s birth over Skype is just as profound. We can already experience intense psychological immersion in both 2D and 3D worlds. Just ask the 100+ million players of World of Warcraft or anyone who has been dumped on FaceTime. Nevertheless, financial influencers like Goldman Sachs have made bold predictions about VR/AR. Will it actually net $80 billion in the next decade? I’d wager not. 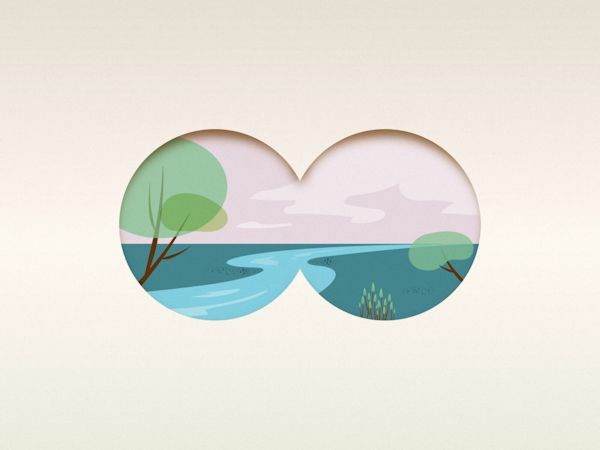 VR for the eyes, while sensational, offers no new information to the viewer. 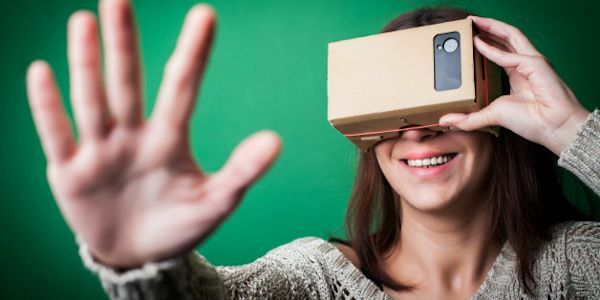 VR is more aptly comparable to 3D televisions than smartphones. 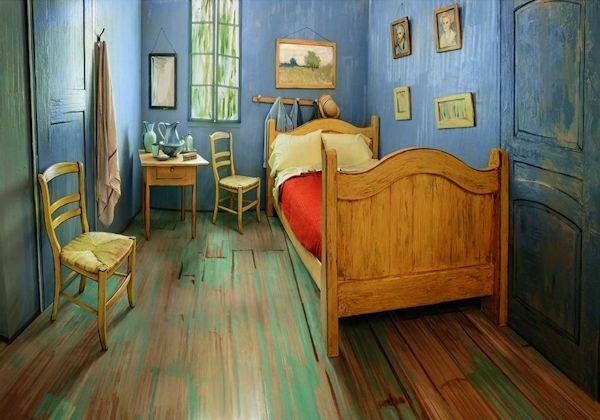 Now you can sleep in Vincent Van Gogh’s bedroom. Well, sort of. As part of the Art Institute of Chicago‘s new exhibit, “Van Gogh’s Bedrooms,” a replica has been created of the famous artist’s bedroom featured in his paintings. For $10, members of the public can reserve a night’s stay on the popular home-sharing website Airbnb.